Patrice Bonnafoux: Hi Michelle, lithic technology specialists are known as 'lithicists' so how do you call someone like you who is a specialist of antler, bone and ivory technology? Michelle Langley: Well, you might call us an 'osseous technologist' or perhaps an ‘osseo-tech’. As someone who also works on shell and wooden technology, I like to think of myself as an ‘organic technologist’. Both lithic and organic technology specialities are necessary if we are to gain a good understanding of what tools people were making and using during the Palaeolithic. Patrice Bonnafoux: Can you tell us more about your research on European Magdalenian culture? Michelle Langley: Sure! My research has focused on how Magdalenian antler projectile points - particularly those that were barbed (known as 'barbed points' or 'harpons', photo 1) and those that had a bevel shaped base (known as 'unbarbed points' or 'sagaie', photo 2) - were resharpened or otherwise repaired by those who used them. 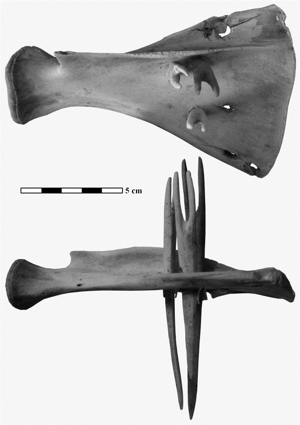 Understanding how the spear/harpoon/arrow points were maintained by their owners and why they were discarded helps us to understand the use life of these weapons. Overall, it gives us an insight into a tool which was vitally important for the getting of food and raw materials. parallels, so may provide archaeologists with further clues as to what Magdalenian life entailed. Patrice Bonnafoux: One of the main results of the work at Peyre Blanque is a typology of stone artifacts with more variety than previously acknowledged. 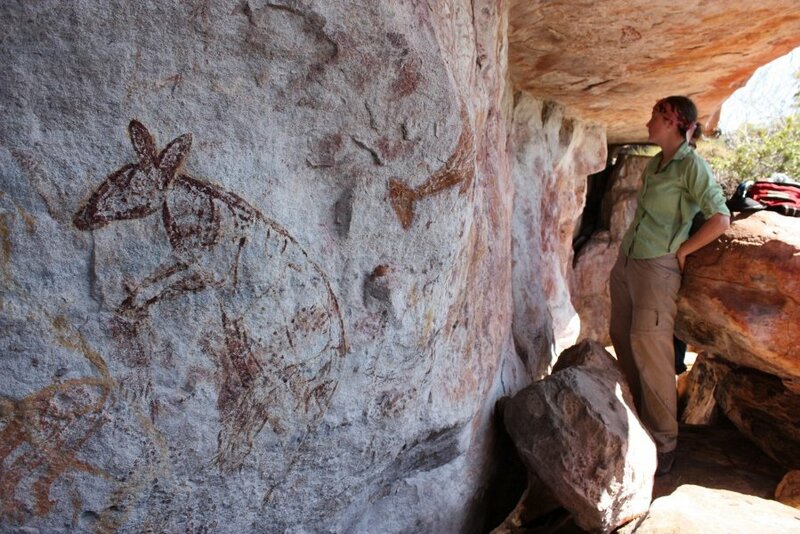 This in turn suggests that a much wider range of activities took place in open-air sites than in caves (which have been the main context for Paleolithic research). So, considering the issue of conservation for the (organic) objects you study, is there any bias toward cave contexts which could explain their decorations and their ritual use? Michelle Langley: While many Magdalenian sites are located in enclosed rockshelter or cave sites, and this situation must remain in mind when we construct our stories of what happened in the past, the result of the past 150 years of research into Magdalenian technology from many sites has shown that these people loved to decorate their tools as well as themselves and some of the places they visited (caves such as Niaux). Comparison of artefacts collected from Magdalenian sites throughout Europe to those of similar age in Africa and Australia, in fact, suggests that the Magdalenian people’s spent much more time decorating their world than others. Whether the decorations on some or all of these tools indicates that they were also used in ceremony is something archaeologists can only speculate about, unfortunately. Patrice Bonnafoux: From the lay person point of view, it could appear that antler points are not as sturdy as stone points and might require more work, so what did the Magdalenian need organic projectile points for? Michelle Langley: This is a question I often get asked. 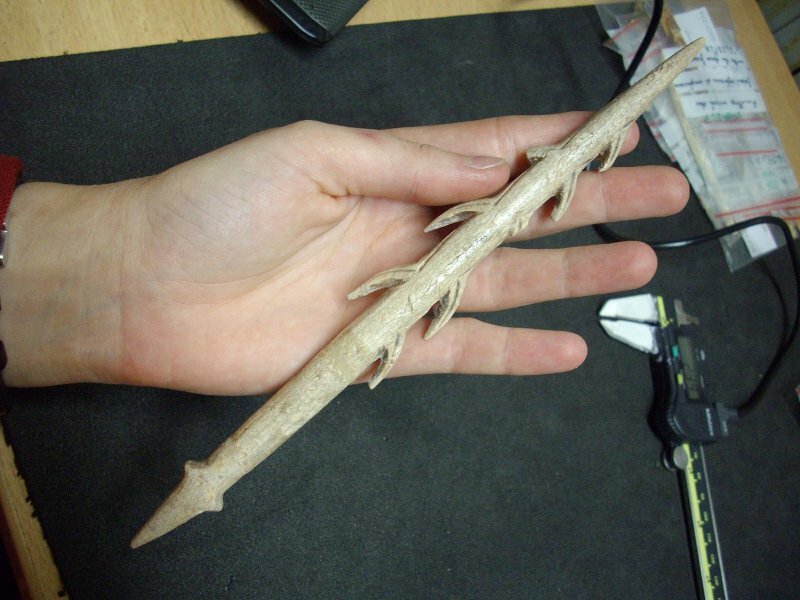 While it is true that points made from bone or antler take much longer to make (my experiments have shown me that it takes around 7 hours to make a barbed point from scratch), they last much longer than their stone counterparts. Osseous points are much more resilient than stone, which easily fracture both in the cold, when they rub together in a pack, and on impact with a target (the latter being part of their efficiency for quickly taking down game - the small stone slithers move through the body creating fatal haemorrhaging). Experiments with antler points have demonstrated that they can pass clear through a carcass more than 20 times without showing any sign of damage. 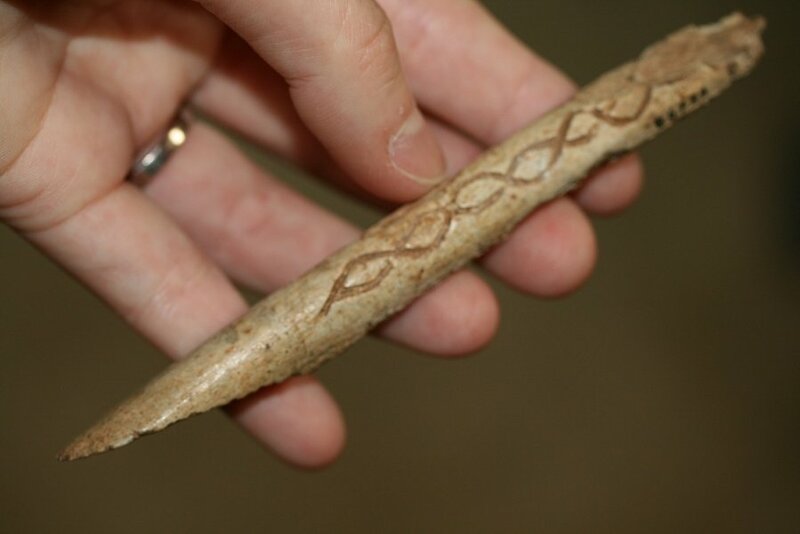 They are also able to deeply penetrate bone (see photo below, from Claire Letourneux & Jean-Marc Pétillon’s experiments with replica Magdalenian antler fork-based points - 2008), and flex inside the fleeing animal without breaking. Furthermore, antler points do not break in the cold as lithic ones do - which is important for people who lived in much colder conditions than we do today. These characteristics (resilience and deep penetration) were sometimes teamed up with those of stone bladelets (cutting edges) in composite antler/lithic points which made the most of both materials. Such a point could deeply penetrate a target animal, where upon the bladelets would detach and create lethal haemorrhaging, bringing the animal down quickly (see the experiments by Pétillon et al. 2011). The antler core could then be retrieved from the carcass and new bladelets attached before being reused. This type of point is what we have found evidence for at Peyre Blanque in the form of bladelets [e.g. photo below - 'triangle'] and the tip of an antler point core with a groove down its side - the place where the stone bladelets were stuck to the projectile point. Patrice Bonnafoux: You're, quite famously now, the one finding organic material of that type at Peyre Blanque, but preservation is unfortunately not great there (shallow acidic soil, open-air site, etc), so what aspects of the research at Peyre Blanque do you find useful for your own research? Michelle Langley: I have just been lucky - being placed in the right squares by Seb! Working at a site like Peyre Blanque helps me to think about the lives of Magdalenian people, and consider aspects which might not occur to me from just looking at isolated artefacts in a museum. 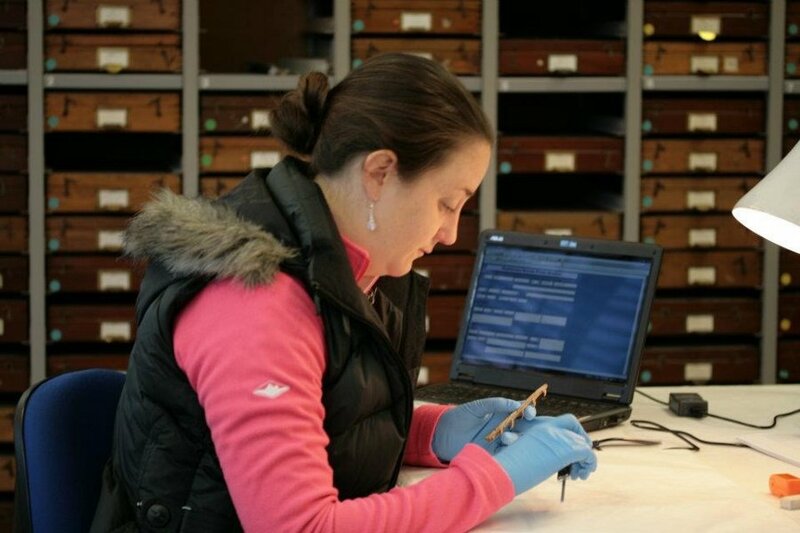 The finding of the small piece of ivory, for example, suggests that either the people of Peyre Blanque traded for the item from communities situated further north, or that someone (or a group) travelled to an area to the north to collect the item and brought it back with them. It is fascinating that such a small artefact can give us such interesting insights into the movements of people who lived so long ago. Patrice Bonnafoux: Do you think there is more antler, bone and ivory pieces to be found at Peyre Blanque? Michelle Langley: I certainly hope so! I think that now we have started finding small pieces of organic technologies, and that we are excavating a section of the site with improved conditions for their long-term survival, we will find more and more. Patrice Bonnafoux: You recently had a baby girl and I understand you have good support from your family and your partner but archaeology with kids is really tough and the wider economic context does not help academic careers in anthropology at the moment, so how did you get on with this? Michelle Langley: You are right, archaeology with young ones is difficult in terms of having to travel away from them - even for short periods for conferences or fieldwork. However, colleagues who have young children themselves now or not too long ago have reassured me that all will be fine in the long term. Furthermore, daughters of working mothers grow up to know they can achieve whatever career they set their sights on. I like to think that I am setting a good example for my daughter - that dreams come true. As far as the current state of academic careers go, I focus on doing as much as I can, as best as I can so that when jobs do become available, I have given myself the best possible chance of being offered the position. Luck helps those who help themselves! 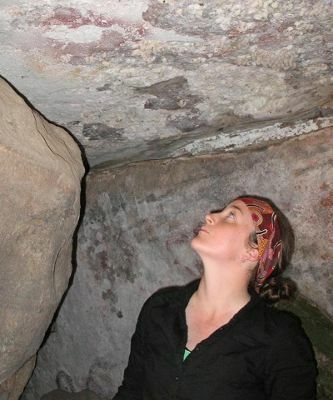 Michelle C. Langley is a Post-Doctoral Researcher in Archaeology & Natural History at the Australian National University. Her main research interests centre around the use of technologies manufactured from hard animal materials in early human communities.